Brrr is the only thing that comes to mind tonight. It was another cold one. Windy and light snow. 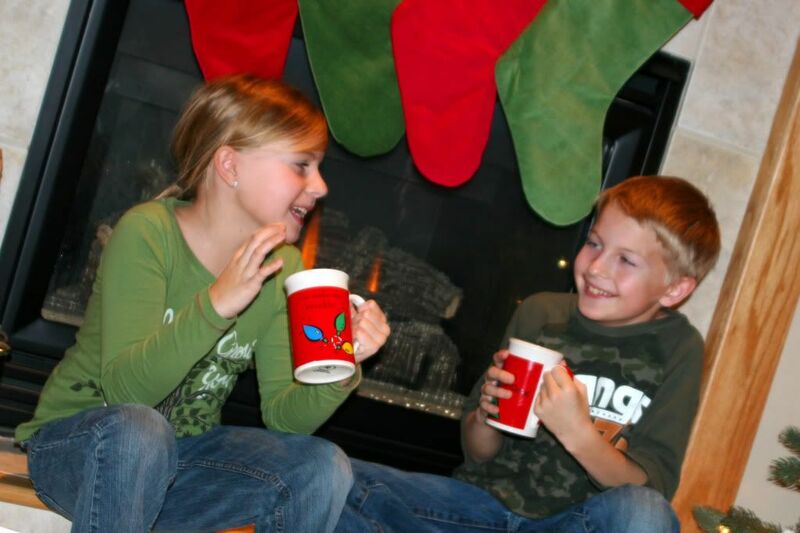 After the kid's walk home they were cold and red faced and the only thing they wanted was some hot cocoa. I was happy for the perfect photo op. They were even quite jovial. It was my one perfect moment of the day that I will cherish and store in my memory bank. Today I could do no right. Feeling absolutely defeated as a wife, mother, employee, and person in general... I'm ready for this day to be over so I can have a fresh start tomorrow. Haldan actually liked this photo better, so I thought I'd include it in my 25 days til Christmas book. Which one should be my POTD? 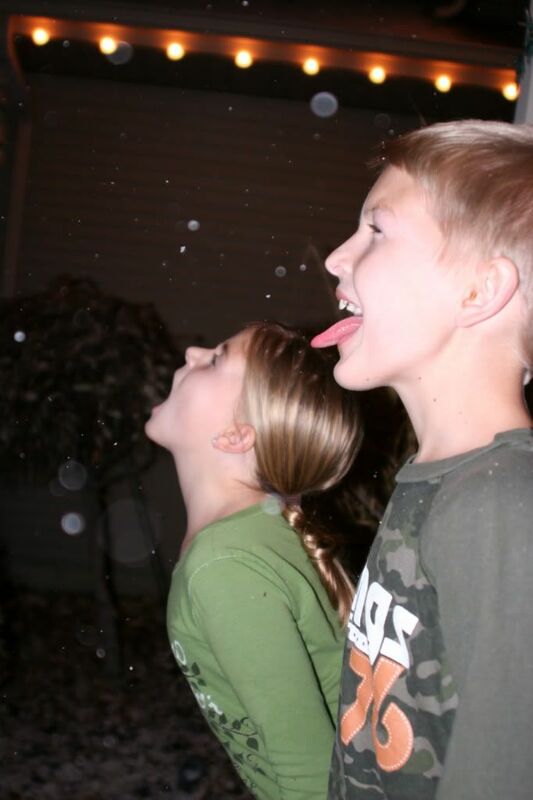 I also like the one of the kids catching snow on their tongues best. But the cocoa looks very Christmas-y and cozy. Our house is so cozy and warm right now I love it. I think they are both GREAT but, I would pick the first one since it was your 1st choice. I love the mug photo. I hope you had a better day. My worst day was probably Tuesday. I have since repented but those kids can really make you feel lousy when there is no gratitude. Hang in there.